Home Regional India India in pageantry: Incredible no more? 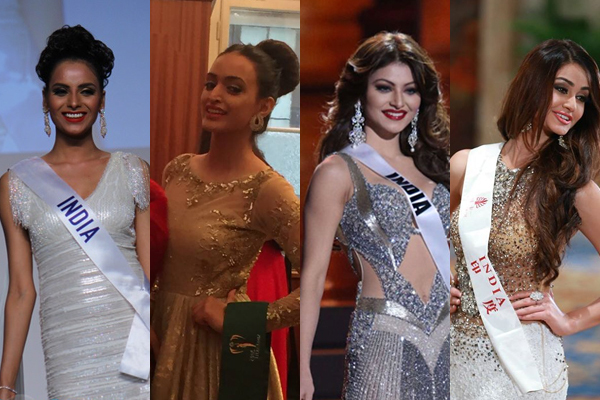 The year 2015 will go down in pageant history as one of the worst for India in recent memory. 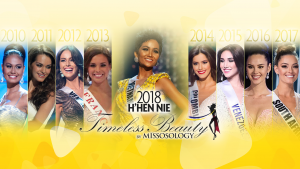 Since the Big4 Pageants came into being – in 2001 – India has never been totally shut off from the shortlist of the four major beauty pageants. 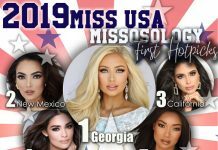 But the unthinkable had to happen, and Indian beauty queens of 2015 all failed to be in the semis of Miss Universe, Miss World, Miss Earth and Miss International. What happened in 2015 is hardly a surprise for pageant analysts though. 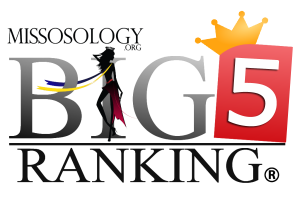 The Big4 Ranking has successfully tracked down the decline of India in the world of pageantry. In 2011, the country was in a healthy rank of 7th and then it slowly declined and now ranks as 9th. If nothing will be done to arrest its decline, India will no longer be the superpower that it was once. The shining moment for India was in 2000 when it won both the Miss World and Miss Universe crowns and landed at the Miss International semis. It was still Big3 back then and India was known to have a huge machinery that trains girls well and was even called by the Time Magazine as a beauty bootcamp. In fact, India was the Performer of the Year in 2000, which means it is a nation or territory that gave the best performance in all major international pageants during that particular year. How to arrest this decline is a complex endeavor. For one, the beauty pageant bootcamps that once produced the likes of Sushmita Sen, Aishawarya Rai, Lara Dutta and Prinyanka Chopra no longer exists. Not so long ago, so many Indian women line up to join pageants because it opens doors for them and was then a good way to land a place in Bollywood. That is no longer the case. In fact, in 2015, it was the other way around as Bollywood actress Urvashi Rauetala tried her luck at pageants once again. India is a land with so many amazing women fit to become the next Big4 beauty queen. The problem seems to be that India failed to evolve on what was going with pageantry. Organizations like Femina Miss India failed to grasp that beauty pageants have moved on beyond interviews – once a forte of India beauty queens. It is high time for India to rethink its strategy. It is time for all national organizations to wake up and evolve with the times and bring back India into its incredible pedestal. Previous articleWho is the real Miss Universe 2015 3rd runner-up?